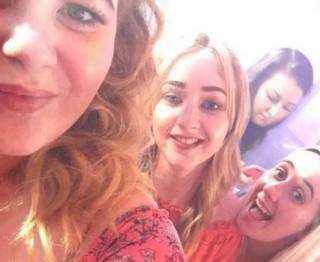 Hannah Powell had been throwing up and felt exhausted after a night out on a bar crawl with two friends in Zante, Greece, in August 2016. But it wasn’t a hangover. The 23-year-old had drunk vodka that – unknown to her – had been mixed with deadly methanol. It made her kidneys shut down and she went blind. Hannah only realised there was something wrong when she woke up in her hotel room and thought the lights were off. “I suggested we open the curtains and my friends said they were already open but I didn’t realise what was going on,” she tells Radio 1 Newsbeat. “I just thought they were joking so I got up to turn the light on. 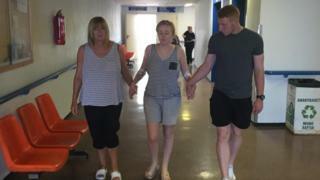 Hannah, from Middlesbrough, was taken to a hospital on the island before being transferred to a larger one on the mainland of Greece. She was so confused and delirious she thought she was being kidnapped. “I didn’t know why I couldn’t see. I thought there was something around my eyes, my head. I remember slyly answering the phone to my dad. “He was telling me not to worry and he was on his way but it kept cutting out. 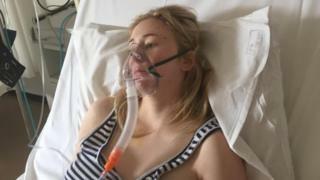 Hospital tests confirmed that Hannah had methanol poisoning. 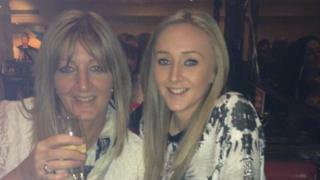 She’d been served unregulated vodka which had been mixed with the toxic substance in a bar. Her friends – who had also drunk the same – were ill with stomach cramps and sickness but had no lasting effects. “Apparently mafia gangs make it in the woods and sell it to the bars for cheap – and the bars fill up their stock with it,” Hannah explains. “So if you’re a customer you think you’re buying a legitimate Smirnoff vodka but it’s not. “They put it in Smirnoff bottles, real bottles, so you’ve no reason to think it’s not what it is. “It just makes it go further for the bars. They don’t have to give you the normal quantity, they can give you much less because it’s much stronger. Hannah returned home weeks later and had to adjust to life without her eyesight. 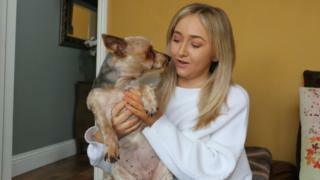 Her kidneys also stopped working so she spent nearly 18 months on dialysis until her mum was able to donate one of her kidneys to her daughter. Hannah says over time her eyesight has gone from being “completely black” to “very foggy” and she struggles to do a lot of things on her own. She’s hoping to get a guide dog to give her more independence. “I used to get up and kind of forget I’d lost my sight,” she tells Newsbeat. “I’d go and get ready and realise I couldn’t find my make up, couldn’t find my straighteners. “I’d open an eye shadow pallet and it would just be one black box when really it’s full of all different colours. “It’s little things like going to make a cup of tea, I wouldn’t be able to find anything. Also tripping on stairs a lot. It’s been nearly three years since the holiday, but no-one has ever taken responsibility for what happened. 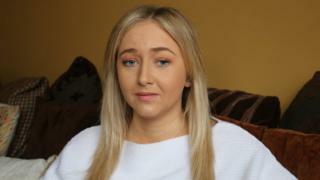 Hannah says she believes unsafe alcohol is still being sold in holiday resorts like Zante. “The fact that no-one wants to take responsibility, I didn’t expect them to, but I think someone should. Hannah says she’s always been determined to lead a normal life since losing her sight. She goes to the gym, the cinema. She goes shopping and celebrates friends’ birthdays just like anyone else. The sight loss charity RNIB also supported Hannah in going back to work and she has special equipment for her job as a receptionist in a doctors’ surgery. “My sister was brilliant. She helped me sort out all my make-up. “We had to colour co-ordinate my clothes because I couldn’t tell what colours were which. “I go out with friends still – mainly for tea or to the pictures. I used to like to go to the pictures to sit still and see if I could see any more. Hannah says she’s always had something to focus on to help her keep positive. This year she’s planning to move into her own home. She hopes to return to Zante one day as she can’t remember much of her time there and wants to see if it will jog her memory. “The last thing I ever wanted to do was just not dare do anything. “I can’t see all the cars coming but the alternative is to sit in the house. “I’m only young and I didn’t want to get used to staying in because then I wouldn’t dare go out. “I tried from the beginning just to keep up doing everything I always did just for a fear of never doing it again and getting too comfortable and getting too worried about going out.